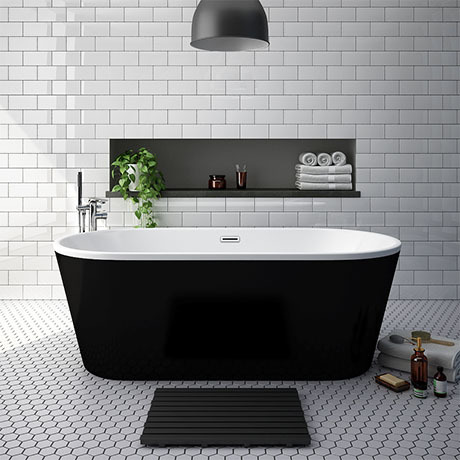 A modern luxury black freestanding double ended bathtub, made from quality high grade acrylic with a superb white and black surface finish. The Brooklyn bath has been ergonomically designed for long deep relaxing soaks. Perfect for use as a bold centerpiece for the bathroom. Bath has no tap holes, looks stunning when used with floor mounted freestanding bath taps. 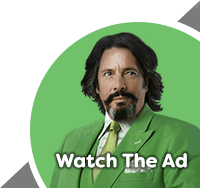 Supplied with a built-in click clack chrome waste. Q. Is this bath all one peice, or is the black outside a panel/cover? A real feature in our new bathroom.